White Night /// Anna Friz /// Liebig12 /// 09.2014 from Jérémie Pujau on Vimeo. 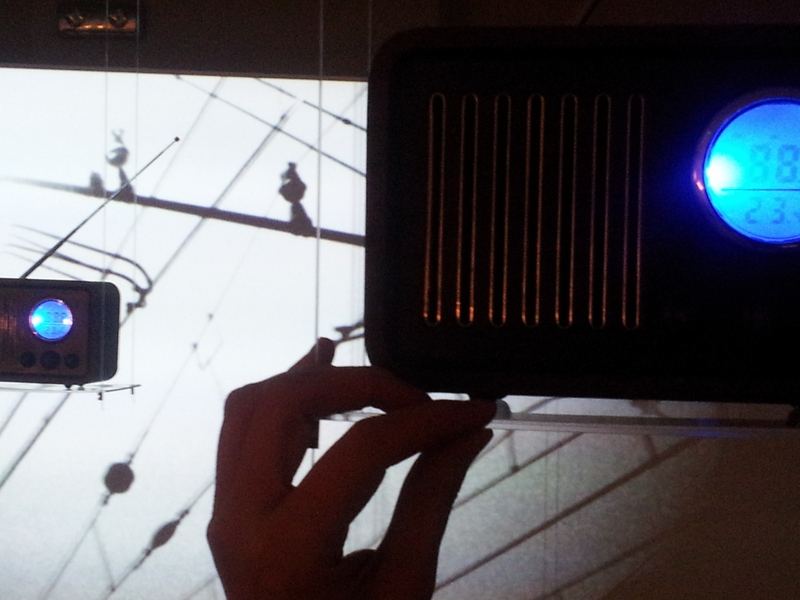 Multi-channel FM installation with projection (2014). White Night is an installation (in which a performance can also take place) created within the larger frame of the City at Night theme, which I developed during a 2-month residency with KC Tobačna 001 and radioCONA in Ljubljana, Slovenia in December 2013-January 2014. Travel funding gratefully received from the Canada Council for the Arts, Media Art division. Thanks to Irena Pivka (shelf construction) and Vlado G. Repnik (location scouting for early morning photo shoot). The piece uses 12 identical new radios with a retro-mid-century Danish design. 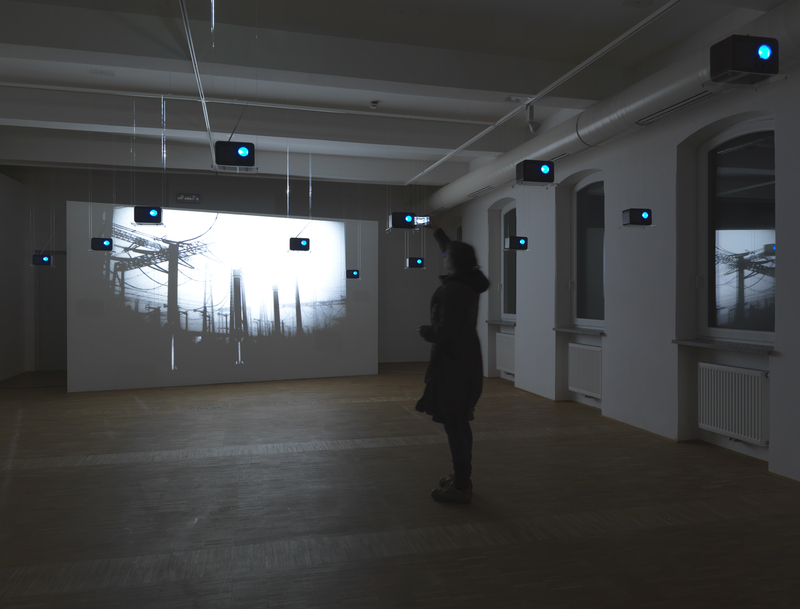 In the first iteration in Ljublana, these were suspended on clear plexi shelves lit only by their blue dials and by the projection behind them, consisting of photographs I took around Ljubljana of the power stations, power lines, and electrical train lines in heavy fog. 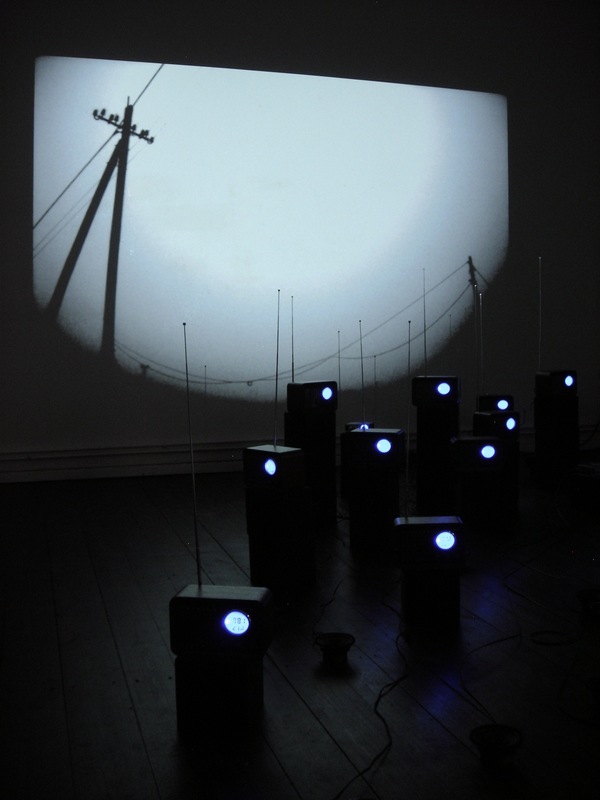 Further development of the piece has shifted the design, such that radios are stacked on dark blocks on the floor to form a kind of radio cityscape, and there are an additional 7 cone speakers added. 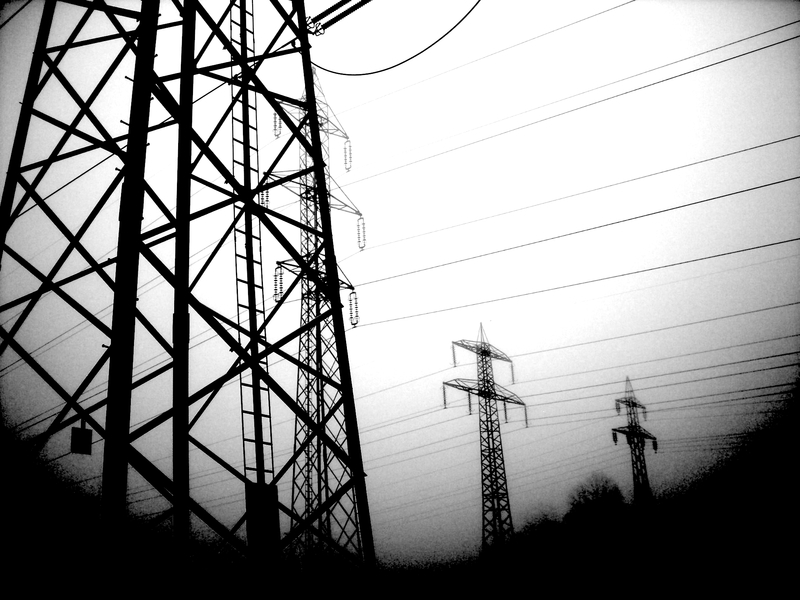 The audio is a multi-channel work for micro-broadcast (on 2-3 FM transmitters) and 4 channels on 7 speakers, and is composed of acoustic and induction recordings of devices and power grid elements around the Tobačna compound where I was staying. 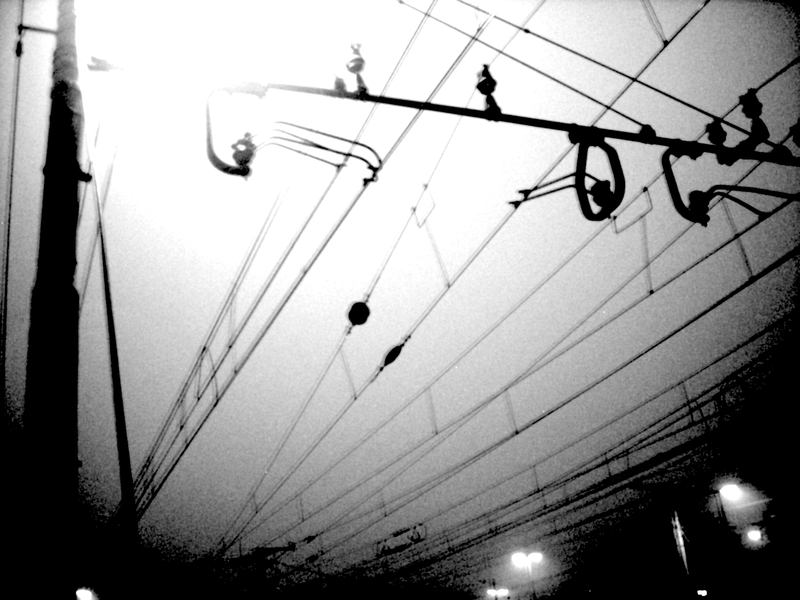 The video and audio loops are asynchronous, with the video loop lasting 24 minutes, and the audio composition just under 30 minutes.